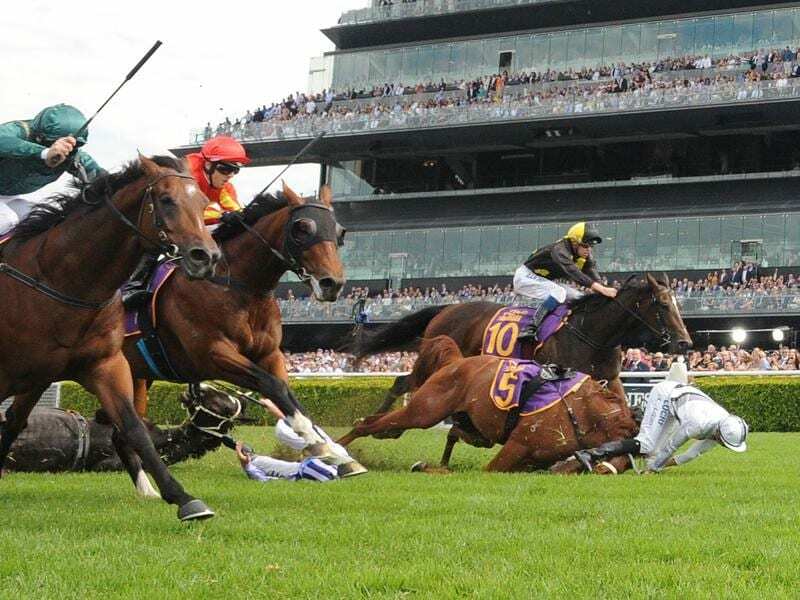 A fall has marred the opening race at Randwick on Queen Elizabeth Stakes day. Glyn Schofield aboard Persan was also dislodged but got straight to his feet and quickly went to Adkins’ aid. “He’s by Fiorente and I think he’s a horse of the future, a Derby colt, and we’re very excited he can step up like this,” Hayes said.